Entrepreneurs often need partners to help them make their business succeed. Running a business requires a combination of different skill sets that one person may not have. Entrepreneurs often make the decision to go into business with a friend or someone close to them. This is often a mistake, because these individuals may lack the competencies they require to run their business. Before looking for a business partner, an entrepreneur must decide what they are looking for in a partner. This will help them narrow tailor their search so they can find a partner who can do the job they are looking for. Rather than looking for a partner who is exactly like them, successful entrepreneurs find someone who is strong in areas they cannot tackle themselves. Local Chambers of Commerce. Chambers of commerce are great places to look for business partners. A chamber of commerce is a local organization where businesses can network and collaborate with each other. When you attend a chamber of commerce, you will get to know many of the business leaders in the community. Chambers of commerce are not the best place for selling your products or services, but they are a great place to meet other businesses. Most business leaders will be well established and comfortable in their current business, but they are often open to starting new ventures. You may also work out relationships where other businesses can work for you in exchange for sweat equity (an ownership stake in your business). Business incubators. Business incubators are one of the best ways to meet promising entrepreneurs. Business owners at business incubators are often looking to pool resources and combine talents with other promising entrepreneurs. Take advantage of any business incubators. You may also learn what other businesses are working on and develop some inspiration for your own business. BNI chapters. BNI chapters are hubs where business leaders can network and pass referrals to each other. Although the primary intention of a BNI group is to pass referrals to other businesses, they may develop into something more. BNI members build special relationships with each other, especially those in similar fields (such as web designers and social media marketers). You may end up working together on a new venture or expanding an existing business. Specialized industry groups. 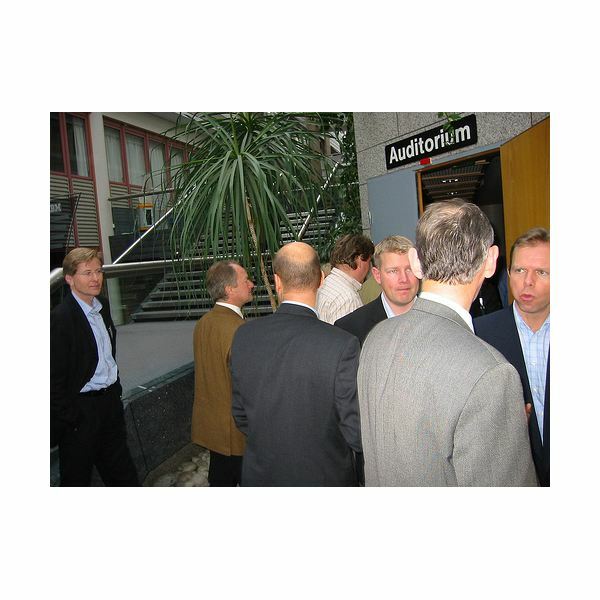 Most profession also have meetups or other networking sessions. You may find groups specific to Internet development or financial services. If you are interested in starting a green business, you may also find potential partners at the Green Chamber of Commerce. Speak with other professionals nearby to learn more about any networking groups in your area. Networking opportunities arise from existing relationships as well. Every time you introduce yourself to someone, they may end up introducing you to someone else. Take the time to meet as many people as possible before you find the right business partner. Finding the right partner is more important than hiring an employee, so don't go into business with the first person you come across. The Internet can also be a great place to find potential partners. There are many possible ways to find potential partners online. Although it's possible to find partners through Craigslist, you can't always trust who you find there. Instead, you may want to use websites with better reputations. You can start by using websites like Elance or Freelancer. These sites were set up for businesses to find freelancers to help them grow their business. However, they may also be great places to find potential partners. You can also leverage social networking sites People looking for business partners often use Twitter, Facebook and LinkedIn to find people with similar interests. The beauty of these sites is that you can learn more about the person's background and character before you commit to working with them. You can also research another person's blog or website to learn more about them. Participate in the conversations on their website for a while. You may develop a connection with each other and decide to work together. People looking for business partners have many options at their disposal. You want to utilize as many options as possible before committing to a partner. Finding the right partner can take time and effort. Don't look within your own circle of friends. Instead, take advantage of every possible lead and get to know someone before you decide to work together.